<--- I'd tell you who they were, but if you don't know, you don't deserve to know. Don: I know who are in those pictures. But its only because I'm old and have been a baseball fan for a long time. If younger people don't know who these folks are, can't blame them. I wouldn't have known pictures about baseball players in the 1900's, 10's, 20's etc. That would be the rough time equivalent to between now and when that photo was taken . I've learned more recently how little I know about my parents experiences let alone two generations before me. 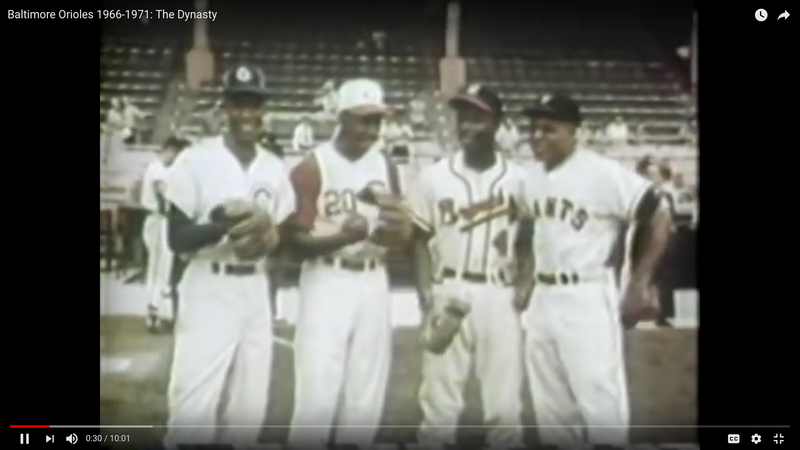 The other 3 guys make up 3/4 of what had to be one of the greatest collections of star outfielders in one league or both leagues at any time in baseball history, from left to right, Robinson, Aaron, and Mays. A lot of home runs in that group of 4. I wonder when that photo was taken. It could have been the late 1950's or earlier 60's. Do you know? Its really a killer photo. A ton of home runs, all time great great players, all playing at the same time. They all started their careers a bit after Jackie Robinson. I bet they each faced a heavy amount of prejudice as they took on the majors. As to the second photo...well if you like the Orioles and the Oriole way and Orioles history...that is the Robinson brothers...the everyday player stars of the greatest period in Orioles baseball. Come to think of it curse Angelos. It's also sort of a "National League 500 Home Run Club" (which includes the 1st, 3rd, and 4th-highest home run totals in history at the ends of their careers). It's also a strong indictment of the White Man's Club that defined baseball in the first half of the 1900s - what does it say that in just five years (1951-1956), a group of black rookies came up that would break all career home run totals except for Babe Ruth's, and all three marks stood tight as of 1976, when Frank Robinson retired. Take away the steroid era, and they're still #1, #3, and #4. That said, I still think Teddy Ballgame would have hit 675, had it not been for his military service (note also 1952 and 1953, when he fought in Korea - that's five years in the tenderloin of his career - 14 home runs in five years instead of 175, which would have put him dangerously close to 700 ). That, coupled with a career .482 on-base percentage is a lethal combination: His career OPS currently stands at 1.116 - that's ridiculous. How in hell do you bat .406, lead the league in home runs, and *not* win the MVP award? It had to be a photo from an all star game. It is an amazing display of all time talent and several thousand home runs by 4 magnificently talented transcendent ball players. The racial thing also struck me. How to describe the impact?? It’s a freaking shame when generations of people are denied an opportunity to explore their talents. This one certainly comes close. Oi. As an old Orioles fan who got to see Frank Robinson play in his last couple of years for the Orioles, and who recognizes that Frank Robbie was one of the key cogs who turned the Orioles of the late 60's and early 70's into one of baseball's best teams, a team whose legacy made fandom easy and attractive; that news is sad. A USA today article on the topic says that Frank Robinson is currently in Hospice care. My recent experience suggests that is a big step between health care administrators and family in recognizing that passing away is if not imminent, a condition that is to be expected. It cuts out the most extensive and expensive aspects of life care. Its a significant decision. Not a happy one, but possibly one that eases someone into a pain free or reduced pain in passing away. Just sad. Yes, I read that article - I believe the main requirement to be in Hospice is to have at least one physician state that you are expected to have less than six months remaining to live, and the primary goal is palliative, not curative. I would travel to California just to spend one hour with Robinson, to get his thoughts about things down on paper for the world to see - those would be some serious pearls of wisdom. Here's Robinson making catcher Manny Sanguillén go maximum vertical to force Game 7 of the 1971 World Series - this play represented the final World Series game this group of players would ever win (not sure which players were on both the 1971 and 1979 teams, but the fabric of those teams was completely different). 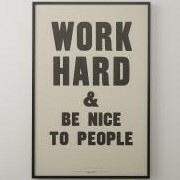 As to a requirement for hospice care: I didn't catch that fairly recently at all. I've spent time with one other person that was in hospice care about 8-9 years ago, but was a nephew--not a primary family member. I do not recall hearing about that requirement in either case. But I just did read about it. Interesting. I wonder how often that is cited as a or the reason when a person is moved to hospice care. Certainly neither I or my siblings didn't fight it recently, but the regulatory perspective with one doctor (I assume it has to be the primary physician) was not articulated. Having spent time with two people in hospice care I would not look to get details on someone's career. If they do bounce back (and at times are removed from hospice care-as was my aunt)...that is a different issue. Much of the time I would not dare to bring extraneous issues up during their care. During his long career, and definitely in his long post playing career Frank Robinson had many fascinating and insightful comments. He was a fount of interesting insights into all aspects of the sport. Ah....the Orioles in the World Series in '71 and '79--both times against the Pirates. Dang...for reasons I do not recall I didn't attend the '71 series, despite living within walking distance of old Memorial Stadium and despite having seen them play there during the regular season. Possibly WS ticket prices were too expensive for my student budget. I did get to one game in the '79 series. Very exciting atmosphere. Yes the Orioles were substantially different between those series as the majority of major stars from the '66-'72 teams were gone....Jim Palmer being one of the few holdovers. And as to that play....hah. Frank Robbie was churning down the third base line..on 36 year old legs...not all that fast. The outfield fly ball was in shallow center and easy to catch and generate a throw. Ahhhh....but good thing the throw from center was way too high and Frank Robbie could run under/slide under the jumping catcher. Nice replay. Nevertheless....a lousy ending to that 7 game series!!!!!!! An interesting footnote: Sanguillén (an excellent catcher, on the 1971 All-Star roster) appears momentarily disoriented - after Robinson (the 1971 All-Star MVP) beat the throw, Sanguillén looked towards the infield to see if any other runners were advancing (and yes, Vic Davalillo's throw was way off) - if that fly ball had gone to right field, Robinson was "toast on the plate" - Brooks tried both to hit it out of the infield, and also to keep it away from right field to avoid Clemente's cannon). Point to ponder: Neither Brooks's execution, nor Roberto's arm, show up on Sabermetrics. And how's this for a great tweet? 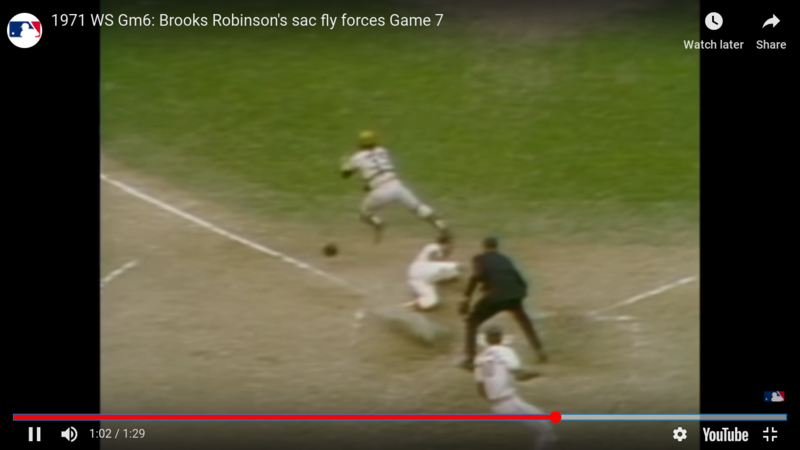 if that fly ball had gone to right field, Robinson was "toast on the plate" - pretty sure Brooksie was not only trying to hit it out of the infield, but to keep it towards left-center to avoid Clemente). Good point. If Clemente had caught the ball, he of the vaunted arm; he could have/probably would have rifled a high speed line drive to the catcher that was low to the ground. Frank Robbie would have been out by a mile!!! I probably became aware of baseball and started watching it in the late 1950's. Mostly what I saw were the NY Yankees and the American League. But in following it, one learned there were three extremely talented extraordinary Right Fielders in the National League. They were all stars, all about the same age and points in their careers, and all magnificent. Probably didn't get to see any of them too often. Their fame took off in the late 50's and continued on through the next decade. They were touted as all time stars rivaling the greatest players of past generations. One was Frank Robinson for the Reds, one was Roberto Clemente for the Pirates, and the third was Hank Aaron of the Braves: Players 1A, 1B, and 1C difficult to rate one over the others. In the early 1960's Frank Robinson tore up the league with the dominant batting stats...but Aaron and Clemente were not far behind. Later of course Frank Robinson was traded to the Orioles and won the triple crown in his first year in the AL. From the mid 50's to the end of the 1960's and beyond those three were annual superstars, each with slightly different highlighted skills but all were among the very best...of all time. A great era for Right Fielders and a great era for baseball. And another tidbit about Frank Robinson-as it applies to his years with the Orioles: Of all the trades the Orioles have made over their 6 or 7 decades; invariably the number 1ranked trade that was most beneficial to the Orioles was the one wherein they obtained Frank Robinson, giving up a quality pitcher at the time...whose career only went downhill with Cincinnati. The Orioles picked up a Triple Crown winner and a key player that propelled them to two WS championships and a team that ranks among the all-time best. Just saw that: another article with some different highlights and states that he was suffering from bone cancer at the end of his life. Frank Robinson was the first Black manager in baseball. He came into baseball because of Jackie Robinson before him and recognized that taking that pioneering spot as a manager was another step forward for the sport it’s participants and the fans. It’s really amazing: Robinson, Aaron, and Clemente came up at virtually the exact same time, playing the same position with careers that overlapped. In most articles ranking the best right fielders of all time those 3 typically are among the top 5 (with some guy named Babe Ruth). I watched the Nats when he managed. It was because of Frank Robbie. He was a living embodiment of meritocracy and helped crack some of old habits of a White only environment by being the first Black manager in baseball. Really amazing that two guys who played high school sports together managed to be the coaching/managing pioneers in that regard in their respective sports: Frank Robinson and Bill Russell. He was a baseball and American Hall of Famer. I love both of these men. It's just so sad to me that Frank is gone - I understand how people felt about Mantle and Berra. I get it - Brooks isn't immortal, and that makes me sadder still. Take seriously his saying that they were competing with the Yankees in 1960 for the pennant. One of the greatest and most under rated players ever. Also MLBs first guy to win MVP in both leagues and first Black MLB manager . A truly fierce competitor and solid man. 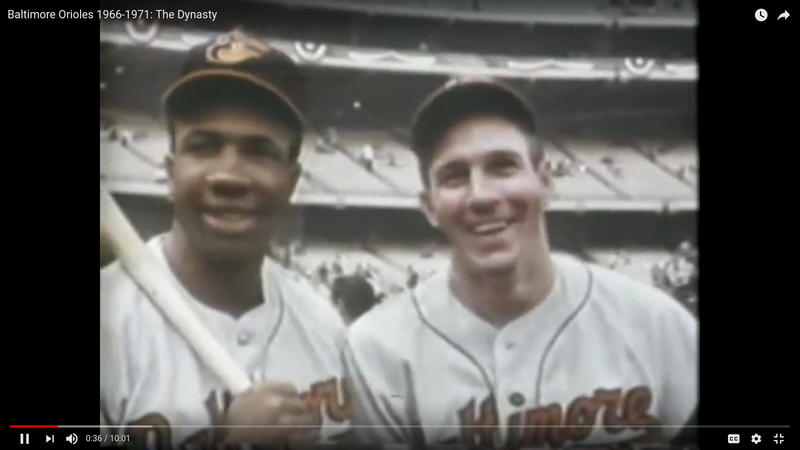 Cool story about how Brooks and Frank made the O's all that they could be and more..... RIP Mr Frank Robinson and thanks for the memories! What a great thread, thanks Don. When I started following baseball in 66-67, the National League was in the middle of a decades-long dominance of All-Star games. And anyone who doesn't think that had to do with the leagues' different levels of acceptance of minority ballplayers is kidding themselves. Frank Robinson brought the Kangaroo Court to the Orioles. It was such a great team concept it spread throughout all of baseball. It was fun and serious as a way to focus on playing winning baseball. If one lived beyond the Baltimore exurbs and vaguely knew about the wondrous Orioles of the late 1960’s - early 1970’s one might have imagined them as brothers, possibly even twin or identical twins. After all they were often described as the Robinson boys or Robinson brothers.